Have you ever wondered why your faith seems to be strong at times and at other times it seems to be weak? Have you wondered how you could increase your faith? Have you ever wondered why your feelings are so changeable? Have you wondered what you could do about your feelings? These are questions that we all have at one time or another. In this lesson we are going to try to answer these questions. We are going to learn one of the most important principles in the Christian life—the principle of Facts, Faith, and Feelings. These words stand for three aspects of the Christian life that are vital to us. It is important to understand them. It is even more important that we get them in the right order and keep them there. 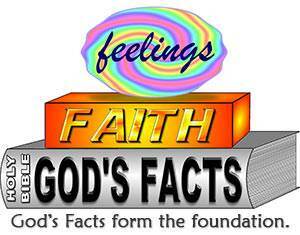 Facts form the foundation; faith rests on facts; and feelings come last. For most people, feelings are the guiding factor in life. If they feel something, they think it is real. If they do not feel anything, they think it is not real. But this is not according to God's order. Others try to put faith first. They think that if they have enough "faith," they can make anything come true. But this is not God's way either. God wants us to have faith, but our faith must rest on His Word; otherwise it is of no value. 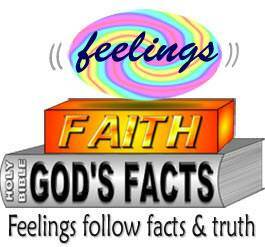 God's order is always the same: (1) Facts, (2) Faith, and (3) Feelings. We are going to consider each of these three aspects of the Christian life so we can better understand how they affect our lives. A fact is something that is true. For example, two plus two equals four. This is a mathematical fact. It has always been true. It will always be true. It is true in this country, and it is true anywhere in the world. Your believing it does not make it true. It is true even if no one in the world believes it. We need to get this firmly fixed in our minds—facts are always true. You may not believe a fact, but it is still true. You may not feel that a fact is true, but it is still true. For example, we know that Jesus Christ died for our sins and rose again to be our living Savior. We know this is true because God's Word says so. A person may or may not believe this, but it is still true. God's facts are always true. The word "faith" is used in the Bible 239 times! This shows us the importance God places on faith. What is faith? Faith is taking God at His word and acting on it. As important as faith is, it cannot stand alone. It must rest on something, and that "something" must be true. This is why our faith must always rest on God's Word. Jesus said, "Your word is truth." Now let us look into God's Word and learn more about faith. This means that faith is the way we "prove" the reality of things not seen. We cannot see the things of the spiritual world, but we know that they are real by faith in God's Word. We must understand this: Our faith does not make God's facts true. They are true whether we believe them or not. Then what does our faith do? 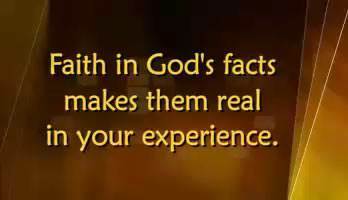 Our faith in God's facts makes them real in our experience. The Bible contains many wonderful promises of God. But they do not become ours until we claim them and make them ours by believing God's Word. As we said before, it is a great fact that Jesus Christ died for our sins. God promises eternal life to all who believe on Him. But Christ does not become your Savior until you exercise faith in Him. When you believe that Jesus Christ died for your sins and you take Him as your Savior, you experience salvation. Faith in Christ makes God's salvation real in your experience. You can then say, "I am saved!" Faith believes God in spite of unfavorable circumstances. Perhaps one of the best examples of this is Abraham. 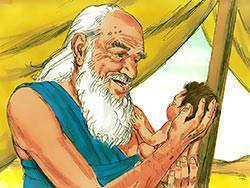 When Abraham and his wife, Sarah, were quite old, God promised them that they would have a son, and Abraham believed God. Fifteen years passed, and God's promise had not been fulfilled. You may say, "I would like to have more faith. What can I do to increase my faith?" Faith grows by constant, careful attention to God's exact statements of fact in His Word. In a flash Moody saw it—faith comes from the Word of God. He began to study God's Word. He studied it carefully each day to see exactly what God was saying in His Word. He believed it and he applied it in his life. The result was that his faith grew and grew. Feelings are emotions such as joy, sorrow, happiness, and sadness. We should understand that feelings are quite different from facts in that facts never change, while our feelings are almost always changing. The state of our health affects our feelings. Our relationships with other people affect our feelings. Even a change in the weather can affect our feelings. You may wonder why we chose a football shape to represent feelings. The reason is that our feelings are so changeable. There is a saying, "You don't know how the ball will bounce." That's the way your feelings are. You don't know how your feelings will "bounce." One day you may be full of joy. The next day, for no apparent reasons, you may be sad and depressed. The important thing to remember about feelings is this: Feelings are very changeable. For this reason we should never try to rest our faith on our feelings. A Christian lady was using the Bible to explain the way of salvation to a young girl. The girl was confused. She said, "I believe in the Lord Jesus, but I thought I had to wait for a certain kind of feeling or some burst of light or something." The lady pointed to some verses in God's Word and said, "Here's all the light you need." The girl put her faith in God's Word and found the peace and joy she had been seeking. No matter how much our feelings may change, they do not affect facts. Facts are always true, and they are true regardless of our feelings. For example, suppose you get a letter from a reputable law firm advising you that a wealthy relative has died and left you a large sum of money. Suddenly you are rich! You may say, "But I don't feel like that money is really mine." Perhaps not, but nevertheless it belongs to you. It has been left to you, and it is yours regardless of what your feelings may be. Many sincere people seek for salvation but they do not find it because they are looking for some kind of feeling. Feelings do have a place in the Christian life, but they do not come first. Instead, they follow facts and faith. The Bible says, "He who believes on the Son has the witness in himself." Note the order: First, we believe; and then we have the witness of the Spirit in our heart. 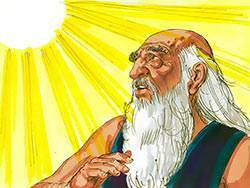 "For we would not, brethren, have you ignorant of our trouble which came to us in Asia, that we were pressed out of measure, above strength, insomuch that we despaired even of life." In living the Christian life, we are not to be overly concerned with our feelings. We are not saved by our feelings and we do not live the Christian life by our feelings. We live it by faith in God's Word. If we have enjoyable feelings, we thank God; if not, we go right on believing and obeying God. 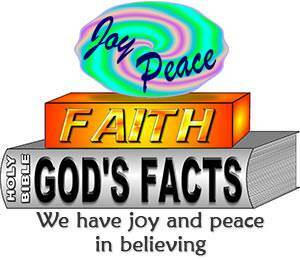 Faith in God's facts is the way to a happy and blessed life. 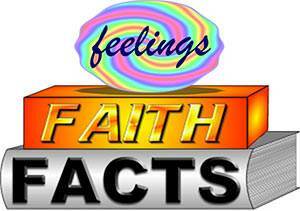 We have discovered one of the great principles of the Christian life—the principle of facts, faith feelings. 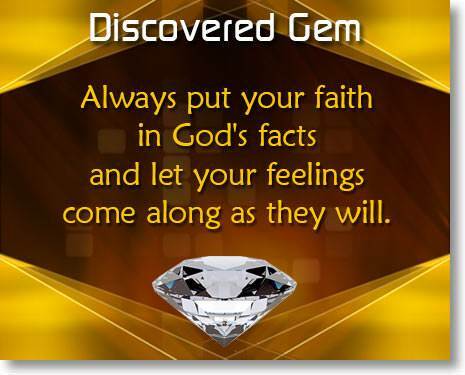 The principle is this: Always put your faith in God's facts and let your feelings come along as they will. God's promise: This is my fact. I believe it: This is my faith. God fulfils it and I enjoy it: This is my feeling. 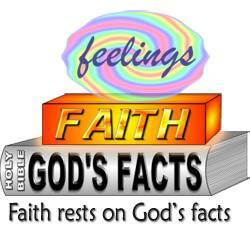 God's order is always: (1) Facts, (2) Faith, and (3) Feelings. Facts form the foundation; faith rests on facts; feelings come last.